Easter is nearly upon us, and so are two new Spring-themed Flippables! 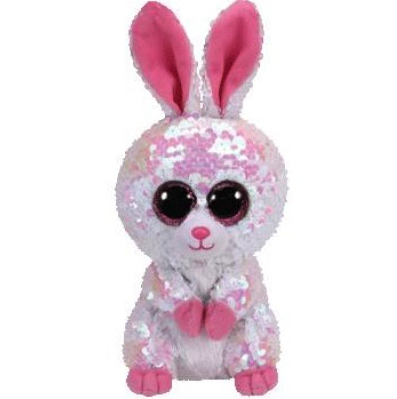 The first of these is Bonnie, a cute little rabbit with white and pink sequins. Her white, fuzzy belly is the only part of her, except her white muzzle, pink inner ears, hands and feet that is not covered in sequins. You’ll never want to stop! Her Birthday is on 4th May. Here is Bonnie is pictured below. Isn’t she adorable?! Another new Easter-themed Flippable is Tulip. 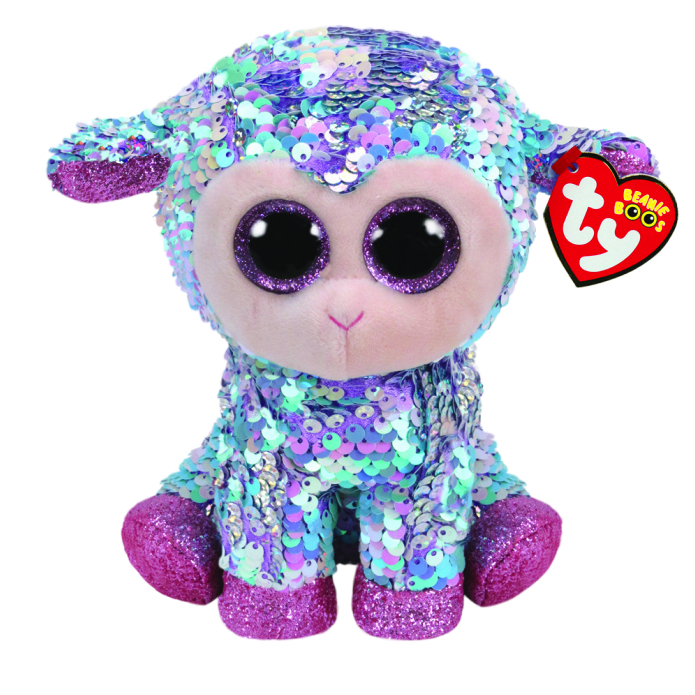 Tulip is a little lamb with silver and pink/white flippable sequins that is just too adorable to resist! Her sequins replace her wool, and almost cover her entire body apart from her peach-coloured face and her sparkly pink hooves. My coat is sequin Flippable! Tulip’s Birthday is on 27th April. What do you think of these two Springtime Flippables? Do you own have them in your collection yet?